IOSi has extensive experience supporting the unique and highly demanding requirements of patient service providers. We are an independent ABELSoft solution provider, supporting a complete line of practice management software; ABELDent and ABELMed. The primary focus of ABELSoft is to help physicians and dentists be more successful in the delivery of health care. We believe that the doctors are the gatekeepers of the health care system and ABELSoft views itself as the technology gatekeeper of doctors. 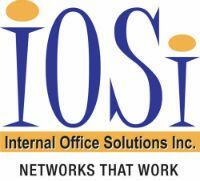 IOSi has been working with ABELSoft since 2001, performing installations and onsite computer support within Eastern Canada. IOSi has remained a preferred hardware supplier for ABELSoft and their clients because of the high quality name brand solutions that we sell & support. Call us today for more information about ABELSoft recommended hardware & software. IOSi is an independent ABELSoft Training Provider. We provide top-notch instructor-led training in a local setting. With our tools and support, our training courses teach students to implement effective business practices using ABELSoft products and prepare students to perform daily administrative tasks.